Encourage discussion as much as possible. Ask your child for their opinion about political and social issues, or about books, movies, and TV shows. Listen carefully and prompt their to express their ideas thoughtfully, backing up their claims with evidence. Having dinner together as a family may be harder to do as they get older and there are more demands on their time, but this is one of the best ways to stimulate these kinds of conversations. As your junior high student's workload and extracurricular interests increase, the way they manage their time will become increasingly important to their academic success. 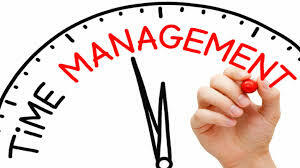 Most kids aren’t naturally good at time management and have to be taught effective strategies. Help their plan ahead and make a schedule of when assignments are due, so that they aren't always racing to complete things at the last minute. Do your best to figure out how your child learns. Have they always been very visual, relying since early childhood on images to help retain concepts? Or does your student seem to do a better job processing information they have heard? As their schoolwork becomes more difficult, helping them figure out the study techniques that work best for their will be key to their future academic success. These could include preparing flashcards or reading texts aloud to himself. There is strong evidence that, despite the popularity of highlighters, highlighting or underlining text as we read is not the most effective way of learning information. Encourage your student to take notes of key ideas, perhaps on Post-its or colored index cards, as your child reads. When they have finished a reading assignment they can compile all these notes and have a personalized study guide. Several times each week, have your student text you a full sentence summarizing a theme of something they are currently reading. Ask them to do this in a full sentence and not with texting shorthand. With so many popular children’s books having been made into films, there are plenty of opportunities for movie nights that allow your child to practice some of the reading skills she’s learning in school. Plan an evening around watching the film of a book they have read and ask them about the differences between the film and the book. Were key details of the plot changed? Did the characters remain true to the way they were described in the book? Why does your child think these changes were made? Pay attention to upcoming historical anniversaries and try to view several media pieces related to the event. For example, there are many documentaries about the Kennedy assassination and the 9/11 attacks. As you watch these, have a family discussion about the event as well as the various interpretations of its exact sequence, contributing causes, and lasting significance. These conversations will help develop analytical literary skills. Word precision becomes more important as teens move through middle and high school. Encourage your student to regularly describe items, locations, and events to you. Identify words that you find vague in these descriptions and ask them to think of better, more descriptive, or more accurate words to express what they are thinking. ​Help your child become a more discerning consumer of online information. Teach them to identify reliable websites by examining where their information comes from, who sponsors them, and how current their content is. Discuss why some sites are more informative and more reliable than others. Take a look together at some sites, such as Snopes or TheStraightDope, that examine online rumors, urban legends, and other stories to see examples of how inaccurate information can become widely accepted. In 8th grade, students read and understand a variety of informational texts including essays, speeches, biographies, and other types of historical, scientific, and technical material. Students also read and understand a wide range of literature such as stories, plays, and poems from across cultures and time periods. In writing and class discussions, 8th graders continue to gather information from multiple sources, and evaluate whether the sources are credible and accurate. Students write both short, focused compositions, and longer papers that involve research, reflection, and revision over time.